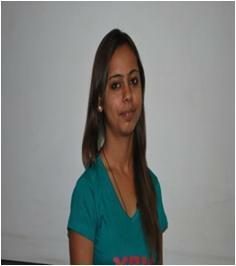 "Jagan Nath University provided me the satisfaction of being in an amazing University. In a nutshell, right from education facilities to hostel accommodation, from academics to placement, it made my career. "I proudly say that I am completing my MBA from JNU. The Faculties and management of our Univ. are helping students to develop their skills, ability, knowledge by conducting value added courses, training programs, seminars and so on. "Jagan Nath University has provided me a great platform to excel in my career. Faculties helped me to a greater extent to bring out my talents and to overcome the dilemma of surviving in a highly competitive era. "During my time at Jagan Nath University, I have had access to unique opportunities to focus my studies on topics of my interests and to prepare myself to enter the job market with confidence and a sense of direction. "Jagan Nath University is good at education. The management and the faculties help the students in their placements and provide support in making a career. "The MBA programme at Jagannath University offered a perfect mix of theoretical as well as practical learning and facilitated in building a solid foundation". "I feel lucky to have had such wonderful mentors who have provided me with a platform to launch myself in todays competitive world.". "If you are looking to grow as a person believe me Jagannath University is a place for you, because here you will invest less & will take away a lot". "Our university and department always work for betterment of students and secure their carrer. We are heartly thankful to them and feel proud to be a part of this reputed University". "The faculties of Jagan Nath university is very learned & co-operative and the labs & library are well equipped and furnished.". "Faculty is very co-operative and ready to serve the students beyond the working hours". "Jagannath university offers a great level to the student to achieve great goals focussing on academic abilities and potential of a students". "I am a student of B.Sc Agriculture and the laboratories of the university are well designed and are equipped with the latest equipment". "The campus facilities of Jagan Nath university are very good. The faculty here is experienced and very co-operative". "The transportation system and cafeteria facilities of Jagan Nath university are very good and students cultured activities are well organized". "The faculty of Jagan Nath university is very learned & co-operative and labs & library are well equipped and furnished". "The thing I admire the most about JAGAN NATH UNIVERSITY is the support I received from everyone. I wouldn't have been able to achieve what I have achieved without that caring, educational and interactive environment.". "My two years in the M. Tech. program at Jagannath University were among the best years of my life. Sure, I found myself able to communicate, innovate, and collaborate in ways that enabled me as good human being.". "Faculties of Jagannath University are very experienced and really help us to enhance our knowledge and skills regarding studies as well as extra curricular activities, blossoming land for young minds to develop themselves. ".